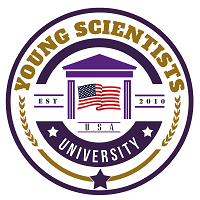 Welcome & Greetings to Young Scientists University Alumni…! We invite you to join the Alumni Association of YSU which gives you an opportunity to connect with your Alma Mater as well as your fellow classmates. No institute becomes self reliant if it keeps loosing tracks of its previous students. The legacy of an institute is not established in one single day but it substantiates gradually with the success of its students & other members of the community. Through our online education verification service, students & prospective employers can view the certificate/degree credentials online in pdf format. This verification will state that the degree in question is authentic and has been awarded by an accredited institution. As YSU alumni, you will be provided full support from our dedicated team, as soon as you obtain your degree and get registered with us. This allows you to easily access all alumni services and manage your ongoing relationship with us. The ISE Card which is meant for students & faculties is also valid for the alumni of an institute. It brings many benefits for its owner such as discounts, medical benefits, worldwide assistance & recognition, bankruptcy protection and eligibility at many important places around the world. This card can also be used for verification purpose. Card is valid for a full 12 months from the date of issue. ISE Card is a professional looking full-color photo ID card printed on durable PVC plastic.